Being the weekend we decided to take it easy today so we started off our day by having a bit of a lie in and having a swim at our resort. The Fantasia pool at All Star Movies was quiet so we had lots of room to swim without bumping into anyone and we played a little bit of keepy-uppy with one of the beach balls they had floating around. 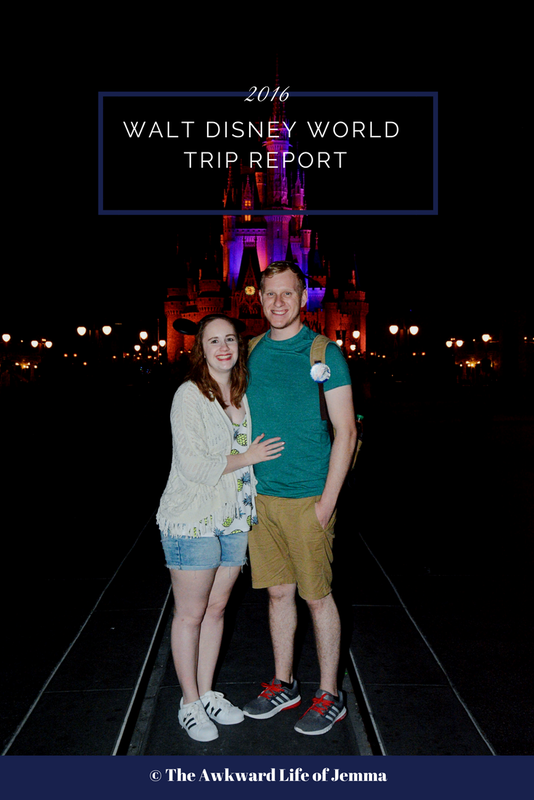 After our little bit of relaxation we got ready in our room and headed off to Magic Kingdom without intending to do any rides as we knew it would be busy. We'd perhaps underestimated how busy it would be as the Chicago Cubs had just won the World Series and were going to parade down Main Street before the Festival of Fantasy Parade and the pavements were already full of people waiting for them in a sea of blue jerseys! It didn't matter too much to us though as we picked up some more Sorcerers of the Magic Kingdom cards and set about finishing the game we'd started previously. 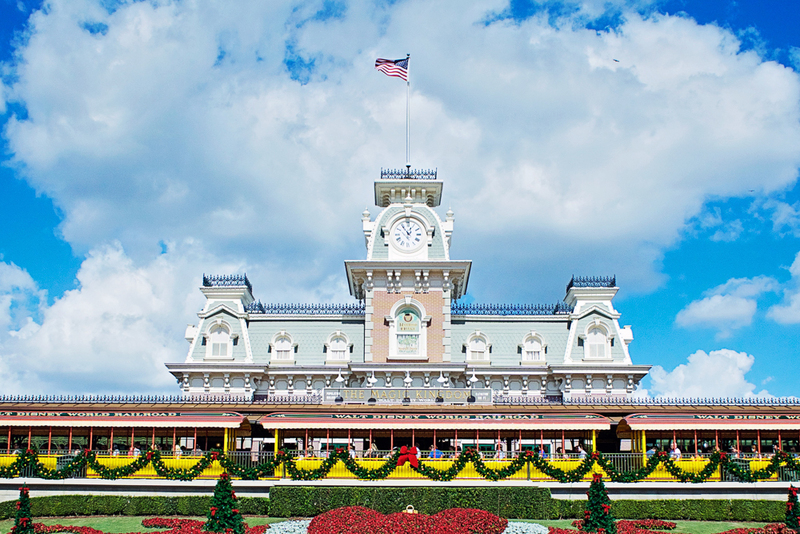 Once we'd battled Cruella De Vil on Main Street we checked the Entertainment Schedule to see that the Dapper Dans performing outside the firehouse so we went to find them. Being early November they were already in their dapper Christmas outfits and mixing up their usual numbers with some festive jokes and melodies. Afterward we went to grab some lunch over at Pecos Bill Tall Tale Inn and although Harry ordered the Fajita Platter again this time he swapped his dessert for a side of tortilla chips and I used the toppings bar to build my own nachos! ($22.67 inc. drink). 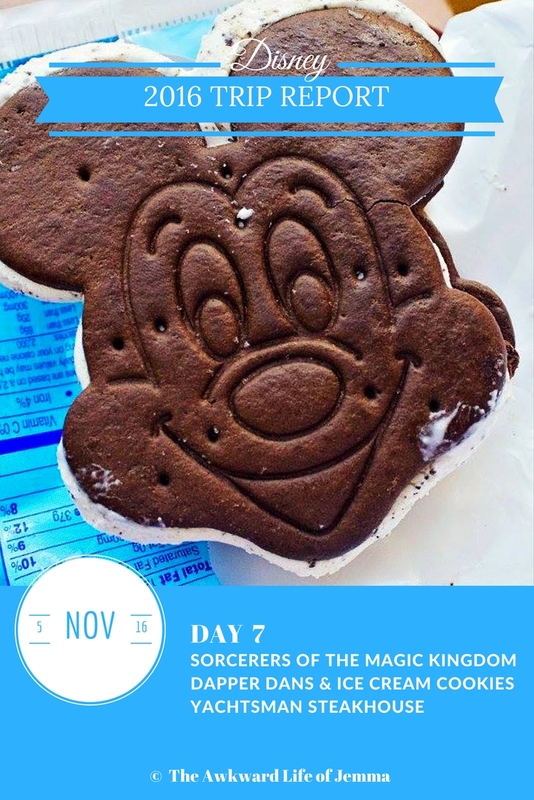 With the park still heaving we continued our riderless day and started a new game of Sorcerers of the Magic Kingdom in Fantasyland but unfortunately we couldn't complete it as one of our portals wasn't working. We weren't defeated though and instead we did the one thing you can do when the park is full of people on a hot afternoon, rode the Carousel of Progress! We hadn't done it yet this trip so now seemed like the perfect opportunity to get out of the crowds and the sun for a while. By now we decided it we'd better leave Magic Kingdom before the parades started so took a 'shortcut' through the Emporium, where Harry bought a Buzz Lightyear backpack to replace his bag that had broken as the day went on, and we caught the monorail over to the Contemporary Resort to have a look around and pick up some ice creams. 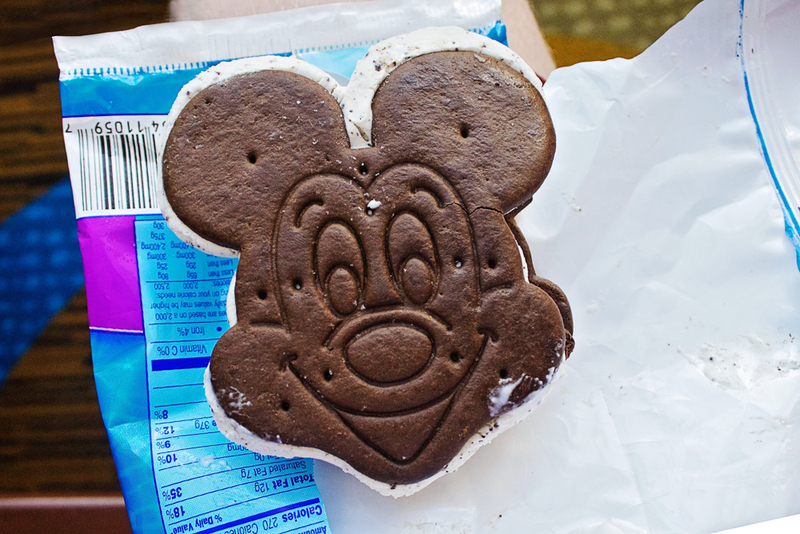 Although they didn't have the ice cream cookie sandwich Harry was after he did pick up the Mickey Mouse version ($4.25) from Contempo Cafe and I chose a Minute Maid tub of frozen lemonade ($4.00) which is an old favourite of mine. 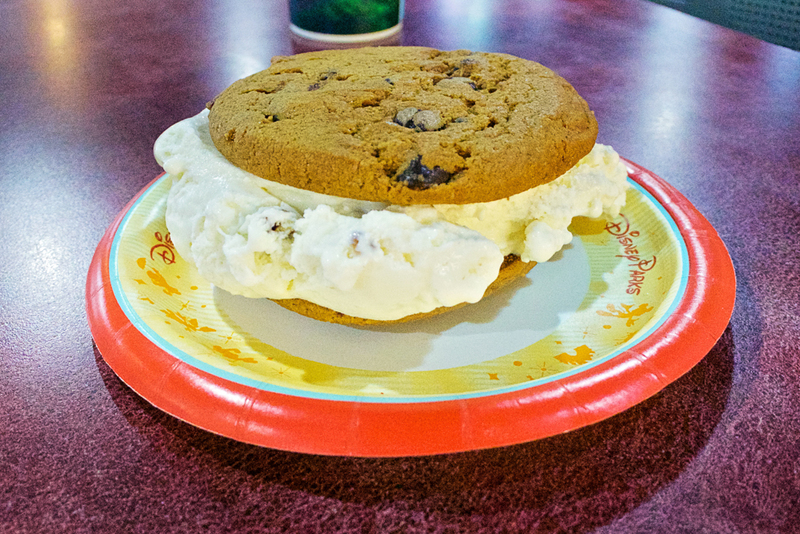 Not content with our ice creams at the Contemporary though we also popped in to the World Premiere food court back at All Star Movies so Harry could get a proper ice cream cookie sandwich for comparison! This one came with two full size chocolate chip cookies sandwiched with 3 scoops of his chosen ice cream, pecan ($5.29). I, on the other hand just got the one chocolate chip cookie ($2.99), but both were a snack credit so Harry definitely got a better deal! After our usual afternoon break back at our hotel room we drove over to the Yacht Club before our ADR to have a nose around. The pool here is shared with the Beach Club but is the most impressive of all the pools we saw, it has its own Lazy River! Even after having a look around we still had to wait awhile until our reservation at Yachtsman Steakhouse, they literally wouldn't let us check in until our reservation time whereas usually you're advised to get the 10-15 minutes before. 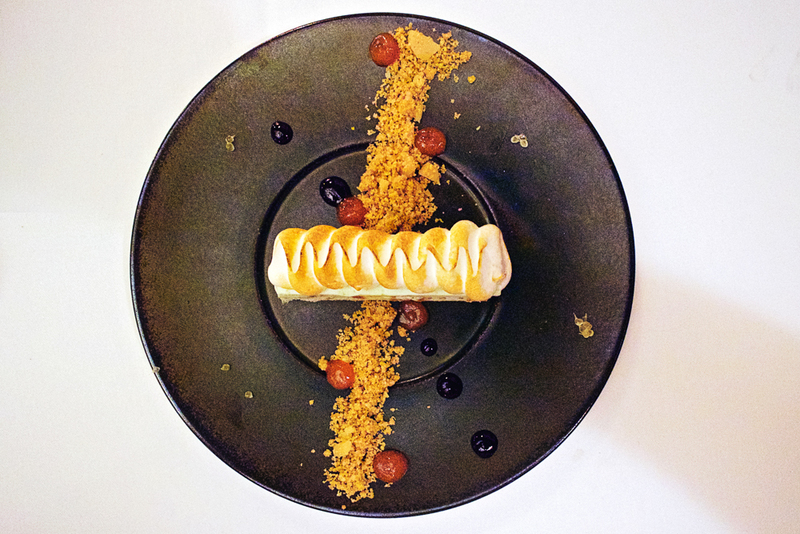 It was well worth the wait though as we were shown to a table in a quieter area of the restaurant right next to the windows that look out onto Stormalong Bay. Our server was incredibly knowledgeable about the menu and he walked us through the different dishes and offered his own recommendations. I ordered a cocktail, the Glowtini, to go alongside my usual Pomegranate lemonade and we were also brought out some bread rolls and onion load served with roasted garlic and butter. I could've eaten tons of this as it was so delicious but I didn't because I wanted to save myself for the main course. 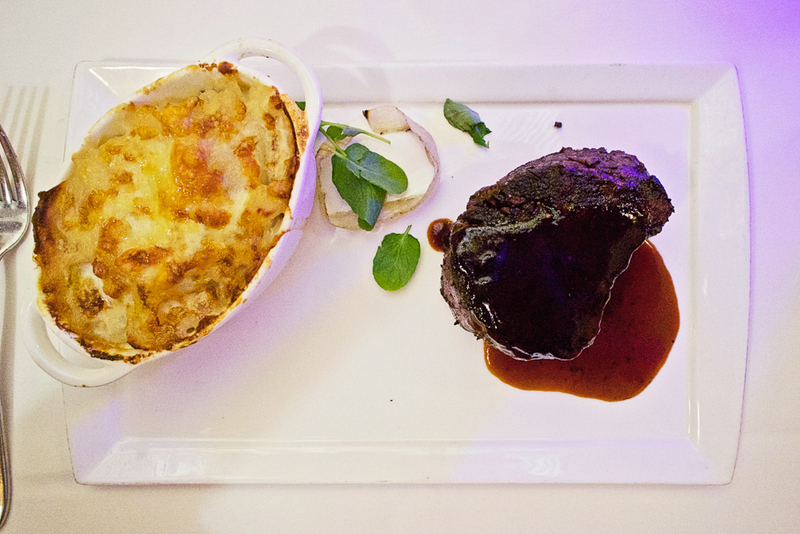 I ordered the Fillet Mignon with potato gratin and Harry had the Ribeye with bone marrow. You can swap any of the sides for something else if you'd like, and Harry probably should've but he really wanted to try it, that being said he wouldn't have it again! His ribeye steak on the other hand had a lot more flavour than mine (as the server said it would) although of course the fillet was tender and delicious too. For dessert I was persuaded to get the creme brulee, which I am a fan of, but I regret not ordering the Chocolate Peanut cake as I'd planned to as I didn't think this was anything special. Harry ordered the Lime Semi-Fredo, which I believe was also recommended by our server, which he enjoyed. I was a little distracted by the time it came to dessert though as I realised I could see the fireworks out of the window! It seems like each meal we eat is better than the last but we loved Yachtsman Steakhouse and it really felt like a proper 'date' night ($215.44 + tax and tip). We wanted to walk around the Boardwalk after dinner but as it was getting late and we realised it was actually quite chilly out by the lake we decided to just go back to our room instead as we had a pre-park open breakfast at Be Our Guest in the morning! 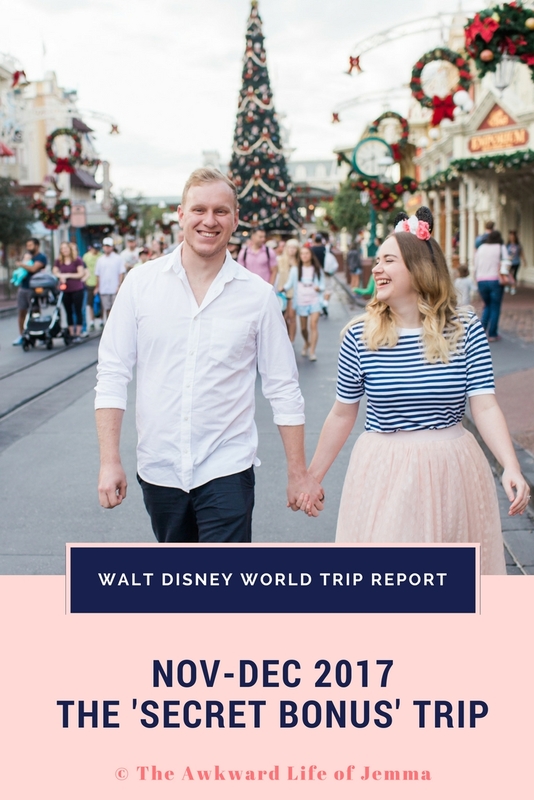 Read about the day after: Day 8 - Be Our Guest Breakfast Review, Magic Kingdom, Animal Kingdom, 'Ohana Review & Getting Engaged!